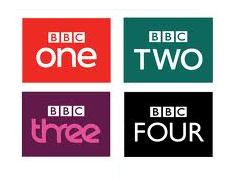 The BBC Trust has today started what it describes as its "most ambitious service licence review of BBC Television it has undertaken" as it looks at how well BBC One, Two, Three and Four are performing. In conjunction with the review, a three month public consultation also starts today, with the BBC Trust inviting audiences to get in touch with their views on the four channels. This is the Trust's second review of BBC Television but the first to look at these four channels together; BBC One, Two and Four were reviewed in 2010 and BBC Three in 2009 as part of the Trust's review into younger audiences. According to the BBC Trust, the Television review will assess "whether each of the four BBC channels is fulfilling the commitments defined in its service licence which set out what the public can expect of BBC services. It will consider whether any changes to the current licences are needed along with each service's future direction." And how the BBC channels perform collectively (including coverage of UK wide issues and sports events). This review does not include news and current affairs; a separate review is already underway. The review will also consider whether each channel is delivering high quality content and if each channel is delivering value for money. BBC Trustee David Liddiment said: "The licence fee places a great obligation on the BBC to be bolder than other broadcasters in delivering ambitious and distinctive programmes for its audiences. This review will allow us to make sure that the BBC is doing just that. "We want to hear from the millions of viewers who watch the channels to tell us what they think." external link. a516digital is not responsible for the availability or content of other sites.